His words and concepts are as intense and in your face as the prophecies of our lifestyles. Born in Hollywood, Florida in 1981and raised in San Antonio Texas aka SAT 210. Jason Ely aka OweMegaSin’s style and delivery is like none you’ve ever heard. Rapping since the age of 13. This talented artist began producing at the age of 19 years old. OweMegaSin realized his unique manipulation of words and voice inflection through his free styling. Competing in various street battles and contests. 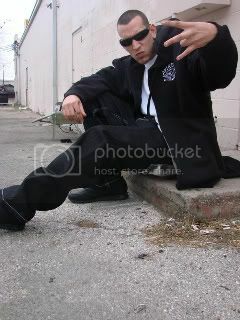 Establishing himself in the underground scene with a new type of sound from San Antonio, Texas. 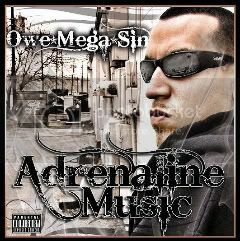 His aggressive southern style of rap has coined the phrase Adrenaline Music. A new genre of hip hop. High energy music infused with the strength of passion, righteousness, or complete chaos. Also considered as struggle music or fight music. The goal of this young artist is to bring a new and intense southern style of rap and help other individuals like himself cope with the everyday struggle.